Casino games and especially slots play have never been better online as there are so many good casino game software companies working feverishly to bring you the best in online gaming. Graphics are the key to excellent online games but the best online casinos software show far more than graphics. So Many to Choose From. Who Can Choose? We can’t say which of the 150 or more games providers is the best because each has its own brand of in-house brilliance. This brilliance comes through online in wonderful games. We have said in many places that the advent of the instant play platform has virtually revolutionized the online casino industry. Once again, graphics are the key. At one time, playing casino games from your browser meant accepting far fewer games and inferior graphics. 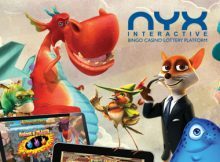 Today, the best providers and browsers allow all of the casino’s games to be available in instant play and the graphics equal download casino graphics in quality. This gives players the flexibility to register at a number of casinos and sample the games from a much larger pool of providers than was once possible! When we say graphics we include animation and sound. These elements have to be excellent in any new slot because the competition is doing the same. The competition includes over 150 talented and amazingly creative development houses. The challenge of great graphics is most pronounced in slots for several reasons. Modern video slots all have a theme. 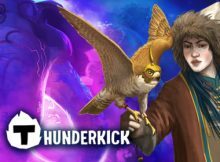 If a developer recreates a slot in any theme without adding something to the story, the slots play will seem stale, the slot will fall flat, and players will talk about it in the forums. New technology provides superior 3D and high definition so the characters in the slots have to demonstrate the highest degree of innovativeness. The best new video slots have fully twelve characters essential to the story. Slots with the royal symbols have become less attractive. Each slot must have many ways to win including pay lines, multipliers, and free spins. Having said all this about slots, it’s also important to note that table games and video poker present their own unique challenges to the providers. After all, blackjack, roulette, craps, baccarat, poker, and so on don’t have story lines so developers have to create the most realistic visuals they can for table games. Here we’ll present a few excellent game developers. They are not necessarily the biggest nor do they all have huge game libraries. What makes them our subject here is they are either the best known developers or deserve to be better known than they are. 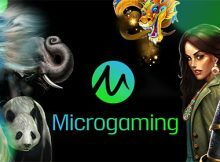 Microgaming may be the biggest of all the game developers. They usually run their games on casinos that they have exclusivity with. In the last few years, they have also run their games on multi-provider sites. Microgaming is a little top heavy for our taste. That means that they keep a lot of their older games on casinos even when the games seem old-fashioned. Nevertheless, there are thousands of players who love their games. We must also point out that Microgaming has a number of long standing classics such as Sure Win and Big Kahuna and they have the progressive jackpot game of all progressive jackpot games in Mega Moolah which has four jackpots. The biggest jackpot always starts off at $1,000,000 after it’s been won by some lucky soul. Playtech has been around since 1999. They chose a somewhat different path than Microgaming in the early years. Playtech chose to innovate within games rather than to quickly enlarge their collection of games. Playtech also developed the comp points software which was revolutionary at one time and is now standard at most casinos. VIP programs have been around a long time at land-based casinos. 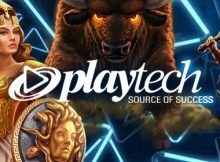 Playtech innovated by connecting VIP benefits to comp points. This involved creating tiers in the comp points system, a practice that lives on today. 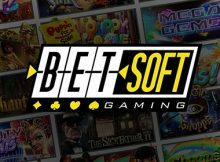 BetSoft is fast coming to rival the bigger, older creative houses. BetSoft is famed for the amazing visuals they provide in every game. 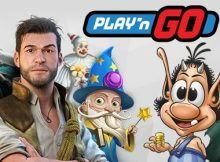 In an industry in which some developers “take off a month”, BetSoft rewards its happy devotees with stunning visuals every month. BetSoft has a unique mobile platform called ToGo. It allows superior graphics on mobile. Since mobile is the newer, more popular platform for online gaming, the ToGo platform has made BetSoft more popular than ever and has encouraged many casinos to add BetSoft to their lineup of game providers. Here we mean newer game developers. 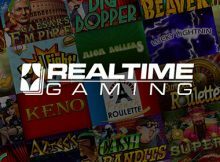 RealTime Gaming, or RTG, is fast developing a following of its own. RTG is known for having one of the largest research and development teams of any developer. This means that they almost never come out with a slot that fails to perk up slots lovers. RTG games are noted for their speed. In our times, speed is very important and RTG delivers. In addition, RealTime Gaming is one of the new generation of game providers who have never abandoned the US market despite the law that forbids credit card companies and banks from transferring money to online casinos. One way these developers and the casinos that run their games get around the law is through the use of bitcoin. Rival Gaming is next on our list of developers for review here. 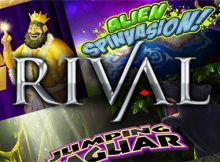 Rival Gaming is known for their I-Slots, interactive games that develop according to the decisions you make. 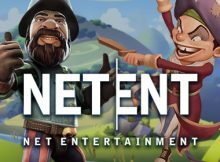 This is the most unique new innovation in online slots in a long time. You create the game as you go along. Even such a creative twist would not work were it not for the stellar graphics Rival brings to every game. WGS Technologies is another USA-friendly developer. It has over 100 slots. In our opinion, they need to study other developers to improve their own games. While their games are always good, they are rarely great. The company has the potential for greatness. They understand the slots playing public. We hope that in time WGS will take center stage with the big guys. TopGame is a developer with a lot of potential but they also need to be more sensitive to the public. A few years ago, they developed a progressive game where you need five Wild symbols to win the big prize. The developers made a massive error and failed to put a Wild symbol on two of the reels. This made it impossible to win the top prize. It didn’t take long for players to notice the game flaw and to publicize it widely in the forums. The bigger problem for TopGame is that management didn’t deal with the issue well. That management is no longer running the show at TopGame and we feel that just like WGS, TopGame has the potential for greatness. 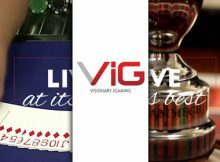 We’ll finish off on a high note with a short review of Visionary iGaming, better known as VIG. VIG has without doubt the best visuals for live casino play from an online casino. Their great reputation is built on providing live solutions to casinos, both online and land-based. As they sell their solutions to casinos, you may have come across their product without knowing it. Although VIG is young, they have become possibly the best in their niche in the gaming industry. 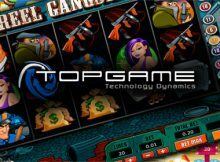 They require spectacular casino game software which, fortunately, is being provided by many developers serving different niches in the vast gaming industry. 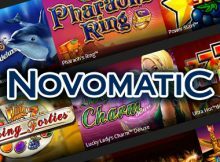 Novomatic Games – the Best Free Slots! 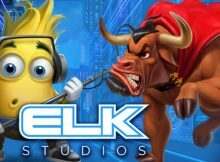 Elk Games – a “Reel” Winner of Slots Games! All the Fun begins with Microgaming Casino Games! 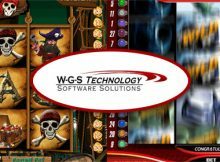 RTG – The Perfect Gambling Software for You!